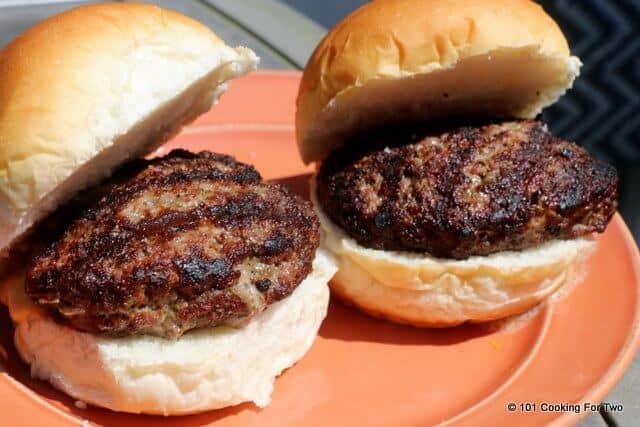 The Juicy Lucy Burger is a regional classic from Minnesota. You can enjoy this at home with a few simple tricks. No trip to Minnesota for you although you should go some time it is very nice. 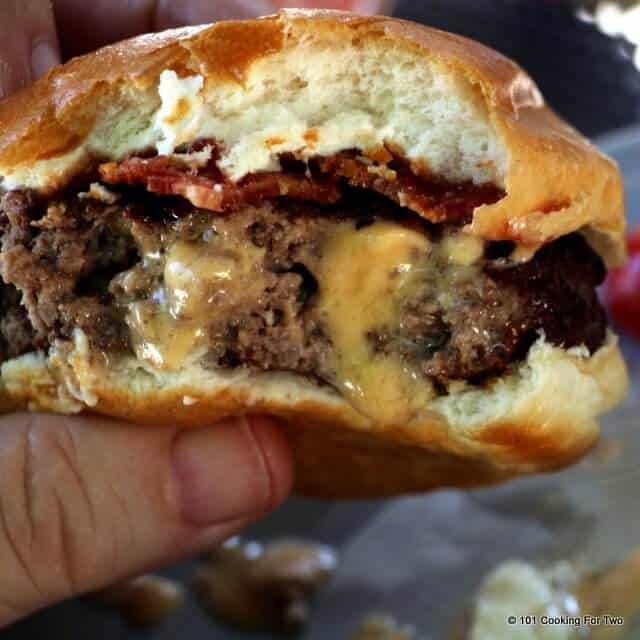 So what is a Juicy Lucy (AKA Jucy Lucy) burger? Basically an inside-out cheeseburger. It doesn’t sound too tough. It’s not that hard plus adds a nice surprise in the middle. It will just step that burger up a notch. See Wikipedia for more history of this regional delight. I’m from Iowa, and I have heard tail of this Minnesota wonder but was reminded last week while watching the Food Network. The specific show shall remain anonymous since I follow the “if you can’t say anything nice don’t say anything at all” rule. Let’s just say food safety was not a consideration. 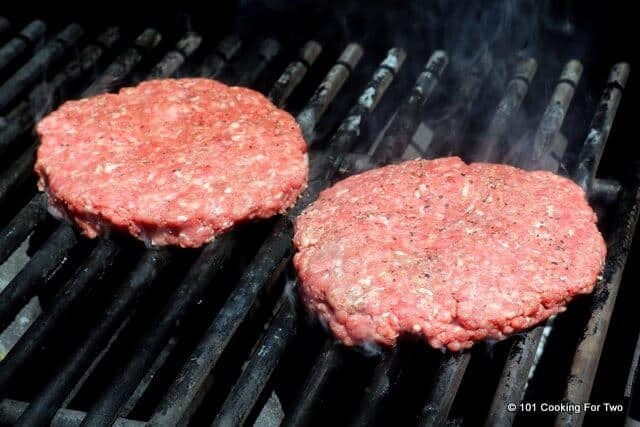 So I started with my How To Grill An Excellent Burger – A Tutorial. and used 7:2:2 seasoning. The choice of cheese is up to you but I opted for the classic processed American cheese slice… this is middle America we are talking about. And if I had Velveeta I would have used it. Secret confession… I really like Velveeta on my burgers much to my wife’s embarrassment. Low 5 or very high 4. I love a good burger, and this is one. Most cheeses except very hard cheese will melt in the 120-130 range. In other words, it will be liquid after it cooks a little. So a word to the wise, let it cool a little before biting in. The edges may leak a little, just work on your technique next time. Many will add more cheese on top. Fine if you want and it is the “classic” way. Preheat grill on high. Clean and oil well. You don’t want to rip this open with sticking. 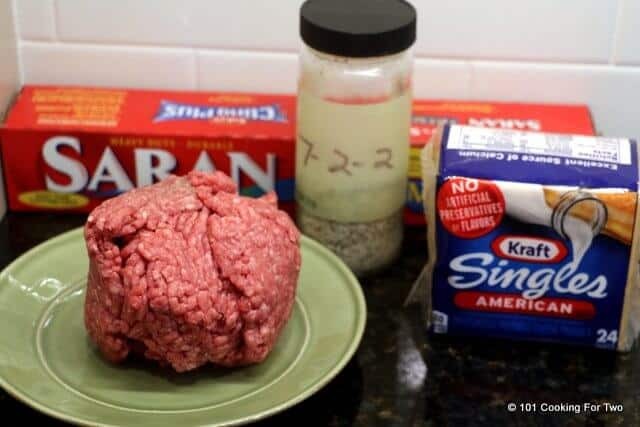 Divide ground beef into approximately 3 oz balls. 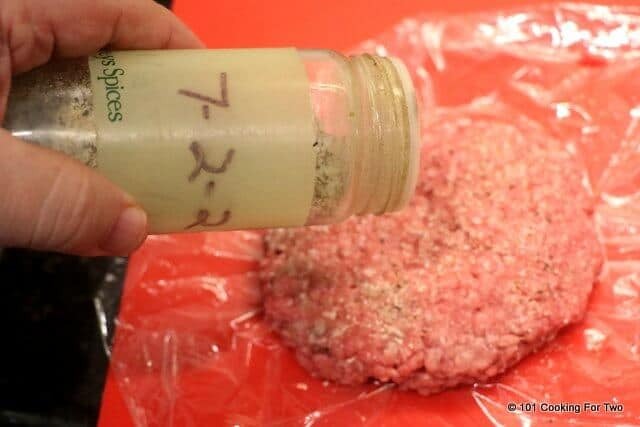 Between two pieces of plastic wrap, flatten the beef into patties of about 5-inch diameter and 1/4 inch thick. The bottom of a pan is recommended here. Add cheese. One standard slice of processed American cheese works well here with folding the corners in. Try to keep the cheese as far from the edge as possible. 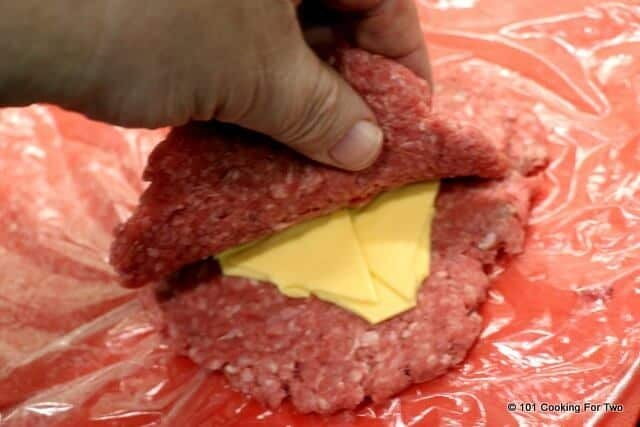 Add a second flattened patty on top and seal the edges. Final diameter should be about 4 inches. Sprinkle with some salt and pepper. I used my 7:2:2 spice mix. Grill for 5 minutes on the first side then 3-5 on the second side to get to 165 meat temp. Don’t poke holes all over it and cause a leak. Let set for 5 minutes before serving. With lots of napkins. 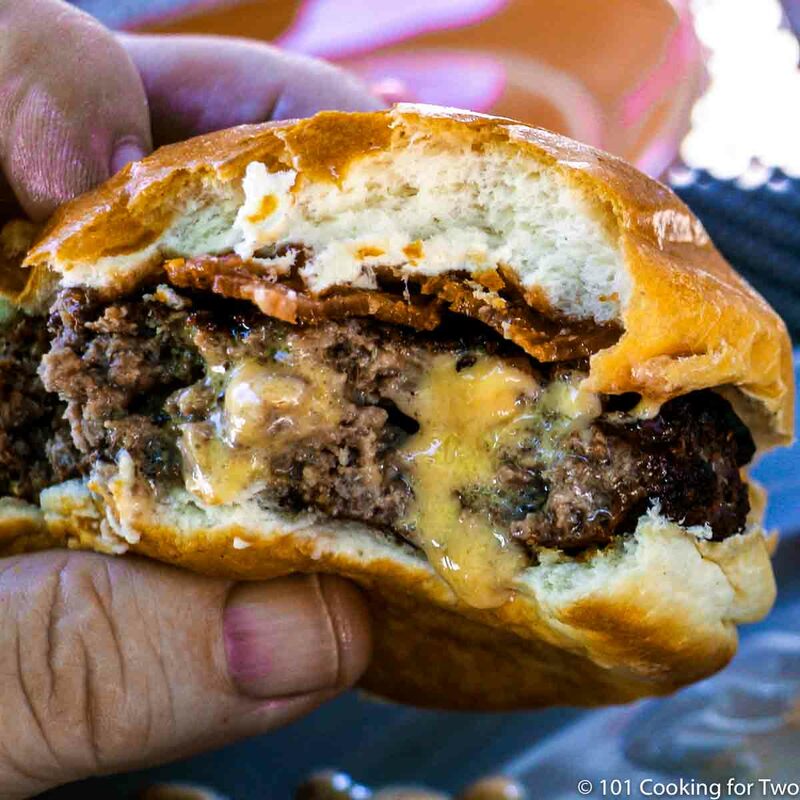 The Juicy Lucy Burger is a regional classic from Minnesota. You can enjoy this at home with a few simple tricks. No trip to Minnesota for you. Preheat grill on high. Clean and oil well. You don't want to rip this open with sticking. Divide ground beef into approximately 3 oz balls. 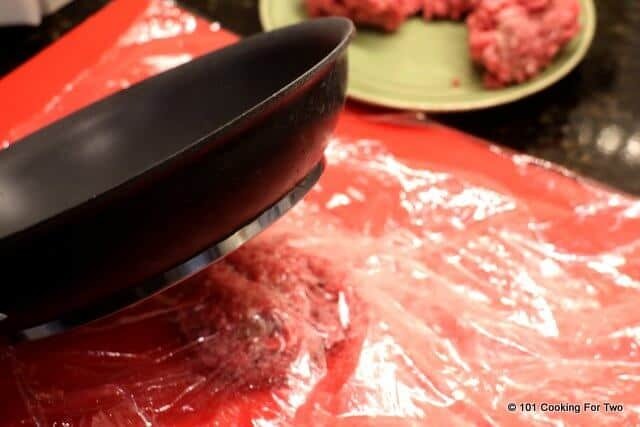 Between two pieces of plastic wrap, flatten the beef into patties of about 5-inch diameter and 1/4 inch thick. The bottom of a pan is recommended here. Grill for 5 minutes on the first side then 3-5 on the second side to get to 165 meat temp. Don't poke holes all over it and cause a leak. Most cheeses except very hard cheese will melt in the 120-130 range. In other words, it will be liquid after it cooks a little. So a word to the wise, let it cool a little before biting in. The edges may leak a little, just work on your technique next time. Many will add more cheese on top. Fine if you want and it is the “classic” way. Made this the other night and they came out great. Your little girls are so cute! I have two doggy babies too. 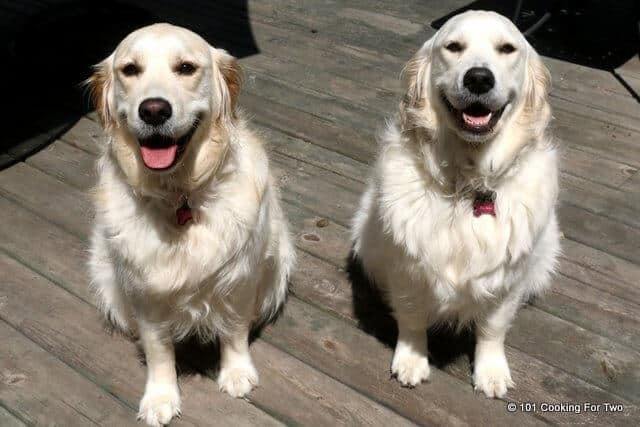 Oh my goodness…the girls are smiling! Such a precious and sweet photo. It gave me joy. Thank you! Made the crock pot baked ziti this week. Loved it! Thank you! I do love that crock pot ziti…. Thanks for the note from the girls and me.